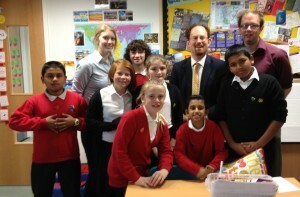 MP Julian Huppert visited Cambridge’s Shirley School to discover how the children are beating national average scores in their English and maths. 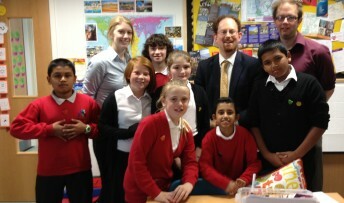 The school, which includes pupils of many nationalities many of whom don’t have English as their first language, achieved impressive marks in their SATS tests. They notched up 84 per cent at level four in their English and maths tests combined when the national average last year was just 74 per cent. And the school has introduced an international primary curriculum which helps children to understand more about each other’s cultures and home countries with the help of a huge map. The school’s outstanding results come as Cambridgeshire County Council outlines plans to build a new school on the former Shirley School site to cope with the growing demand for primary places. There are concerns as to whether the new school will gel with the Shirley School while allowing it to maintain its impressive academic record. 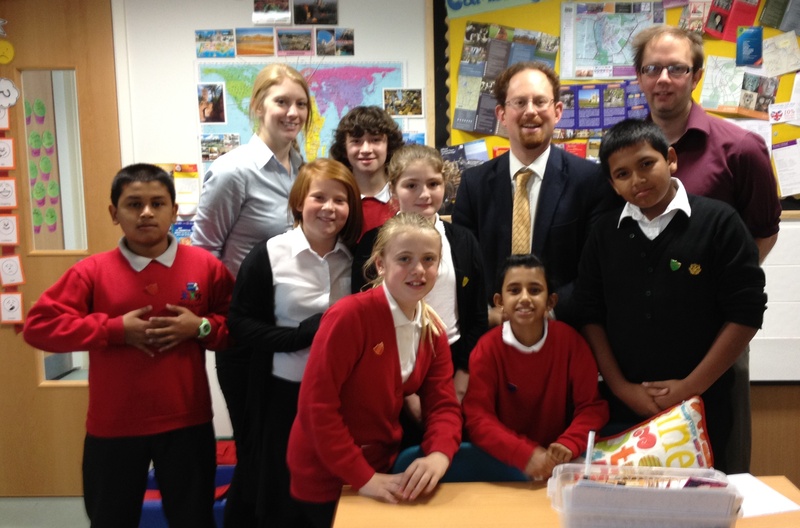 Julian was joined during the school visit by Cambridgeshire County Councillor, Ian Manning and Cambridge City Councillor, Susannah Kerr, both who represent East Chesterton. Cllr Manning received assurances from Education Minister, David Laws recently that he would intervene if the new school failed to work effectively alongside the Shirley School. Cllr Manning said: “The Shirley does great work. In a time of change in East Chesterton – with us getting a new rail station and a new school all within the next three years – the stability the Shirley School provides for the community is something I really welcome. Julian said: “This school has achieved impressive results for its youngsters while at the same time helping them to integrate and have a better understanding of each other.